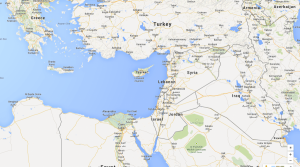 Cyprus is the third largest Mediterranean island and is surrounded by Greece, Lebanon, Syria, Egypt and Turkey. The island is a former British colony which became independent in 1960. It is considered to have a strategic location since it is characterised as the crossroad of civilisations. Cyprus is best known for its sunshine for over 300 days per year, its beaches and blessed with some stunning mountain ranges, known as Troodos mountains located in the south west and Pentadactylos range which runs along almost the entire northern coast. There are no rivers, only torrents which flow after heavy rain. According to mythology, Cyprus is the birthblace of the Greek goddess of love and beaty, Aphrodite. The island is both an ancient land with eleven thousand years of history and since 1960 a young independent republic. Its strategic location has been one of the critical factors influencing the course of the island’s history throughout the centuries. The Republic of Cyprus is a presidential democratic republic, whereby the President of Cyprus is both head of state and head of government. Executive power is exercised by the government. The President is elected by popular vote for a five-year term and appoints the governing Council of Ministers. Legislative power is vested in both the government and the parliament. The Judiciary is independent of the executive and the legislature. The parliament of Cyprus is the House of Representatives which comprises 59 members elected directly by the people for a term of five years, including three observer members representing the Armenian, Latin and Maronite minorities. Cyprus has a well-functioning common law legal system based on principles established through historical links with the United Kingdom. The origin of the Cyprus Companies Law and other laws regulating business is UK legislation, as updated and harmonised with EC Directives. Cyprus joined the European Union in 2004, resulting in an economy offering numerous advantages within a common European market. Cyprus adopted the Euro as its currency on 1 January 2008, further confirming the country’s macroeconomic stability and its commitment to low inflation, low interest rates and high growth. The background is white with a copper-coloured silhouette of the map of Cyprus in the centre of the flag above two crossed olive-green-coloured olive branches. The copper colour has a dual symbolism: first, the name of the island is said to derive from an ancient word for copper; and second, copper is closely associated with Cyprus since antiquity when the island became a major producer and supplier of this mineral resource. The olive branches are symbols of peace. 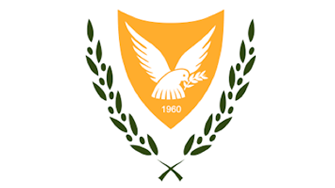 The coat of the Arms of Republic of Cyprus depicts a dove carrying an olive branch (a commonly known symbol of peace) over 1960. Cyprus has an estimated population of 1.17 in January 2016. 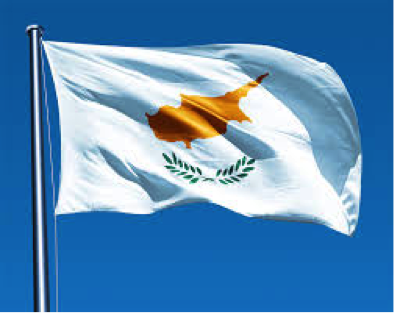 Most Greek Cypriots belong to the Orthodox Church of Cyprus (78%), while most Turkish Cypriots are Muslim (18%). Other religions represented on the island include the Maronites and the Armenian Apostolics (4%). 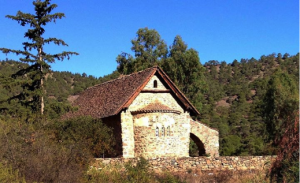 In Cyprus, there are many Churches in each town and village, each one devoted to a different Saint, or to the Virgin Mary. Most people attend Church during festivities such as Christmas, Easter, weddings, christenings, funerals or on Sundays. 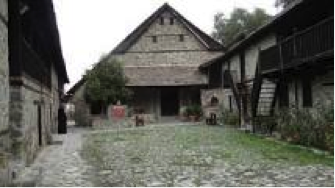 Apart from the many Churches there are also many monasteries which can be dated thousands of years ago. Greek and Turkish are the official languages. English is prevalent throughout the island and is the principal business language. French, German and Russian are also commonly spoken in tourist areas. 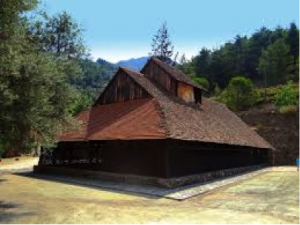 the church of Archangelos Michael in Pedoulas. Church of Metamorfosis in Palaichori. the Church of Agios Nikolaos tis Stefis in Kakopetria. 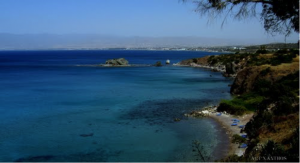 A Cypriot legend claims that Aphrodite, the Greek goddess of love, was born and rose from the foam (“afros,” in Greek) near a rock off what’s now Aphrodite’s Beach. Waves breaking over the rock create pillars of foam that islanders say look just like the goddess herself. 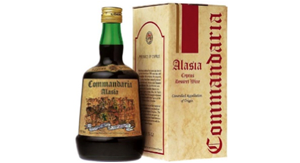 To be exact, the Cypriot dessert wine commandaria is recognized as the world’s oldest named wine. King Richard the Lionheart of England is said to have been so taken with commandaria that at his wedding he pronounced it “the wine of kings and the king of wines.” It is produced in the fertile high-altitude slopes in the southwest of Cyprus, it has a sweet, herby taste that evokes the island’s aromas. 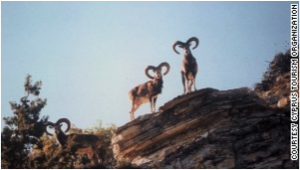 Mouflon is the national symbol of Cyprus, but you may never see it. Cyprus’s Mouflon is a shy sheep and it was once considered vermin, so you cannot entirely blame hunters for its demise. By the 1930s there were only 15 Mouflon, technically a subspecies of wild sheep, left on the island. 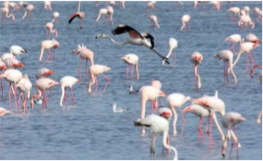 However, conservation programs have made thousands of them to exist “somewhere” in the island. A whole town in Cyprus is a UNESCO World Heritage Site. The name of this town is Paphos. 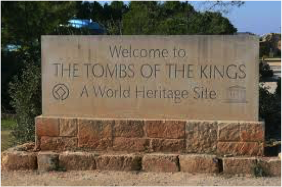 There is a total of three UNESCO World Heritage Sites in the country including the town of Paphos. 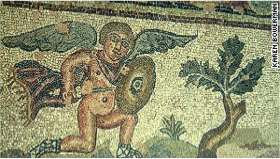 People used to walk all over them…Discovered by accident in 1962, Paphos’s mosaics once decorated the houses of the island’s most wealthy Roman colonists. They have been described by the UN as “extremely rare and rank(ing) among the best examples in the world” showing great artistic skill but also tell compelling stories. The Four Seasons mosaic in the House of Dionysus (the god of wine) shows winter as a gray-haired old man warming himself up with a drop of vino.